The History of Russia continues with the aftermath of the assassination of Alexander II in 1881. The reign of his son, Alexander III, saw a return to Russian autocracy, as revolutionaries were pursued by the Okhrana - the Tsarist secret police - and Jews were targeted in pogroms. Sergei Witte helped to modernise Russia's economy, and work began on the Trans-Siberian railway. Everything you need to know about the Russian Revolution in a 13 min video. 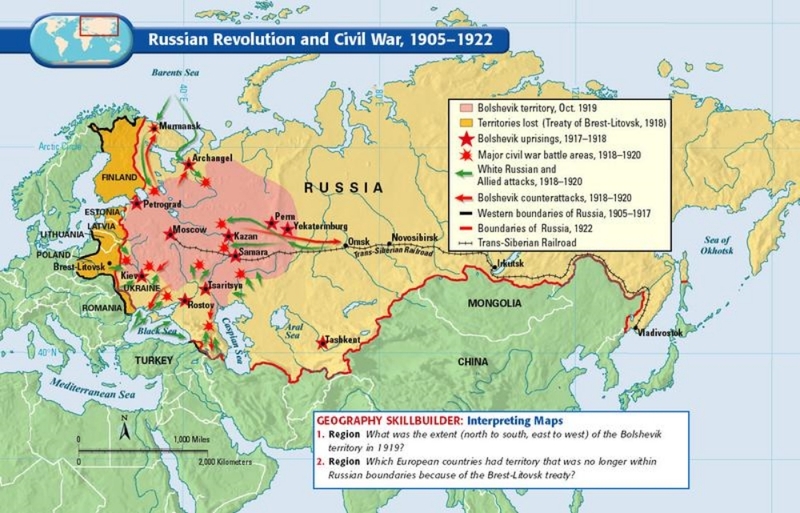 Produced in partnership with Bridgeman Images http://www.bridgemanimages.com/en-GB/ We explain all the major events of Russia's TWO revolutions of 1917- the February Revolution that ended Tsarist rule in Russia, and the October Revolution, that brought the Bolsheviks to power.